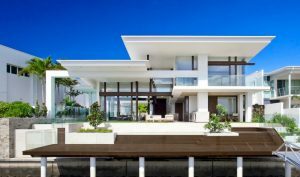 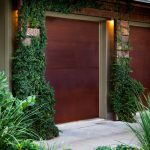 Steel doors are definitely among the most interesting doors to have and having one created for your house is among the best things you can do if you want to have a quite interesting door. 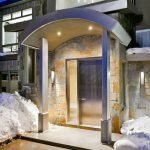 There are many homeowners who choose to use steel doors and if you want to use one, get some ideas by taking a peek at these cool steel doors. 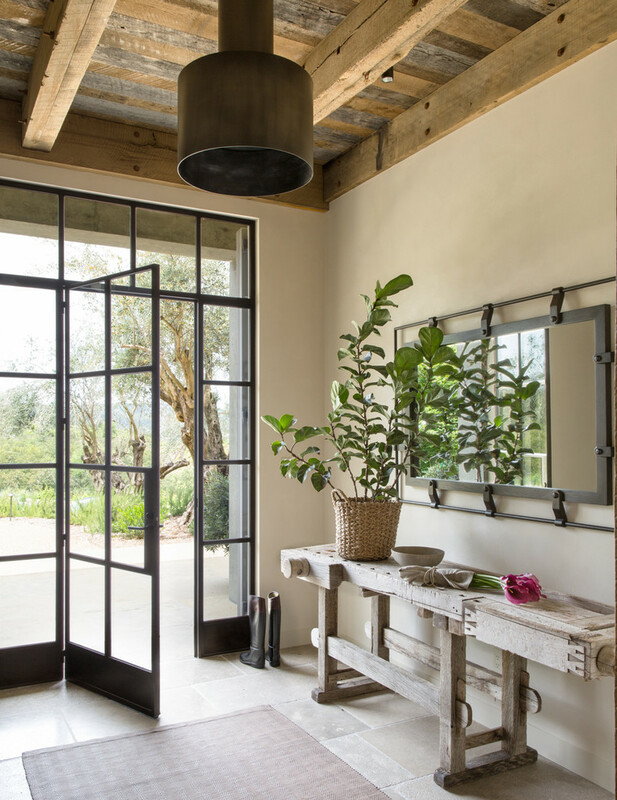 These big doors are retractable. 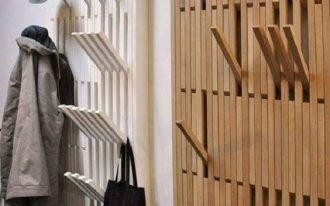 They don’t simply slide open. 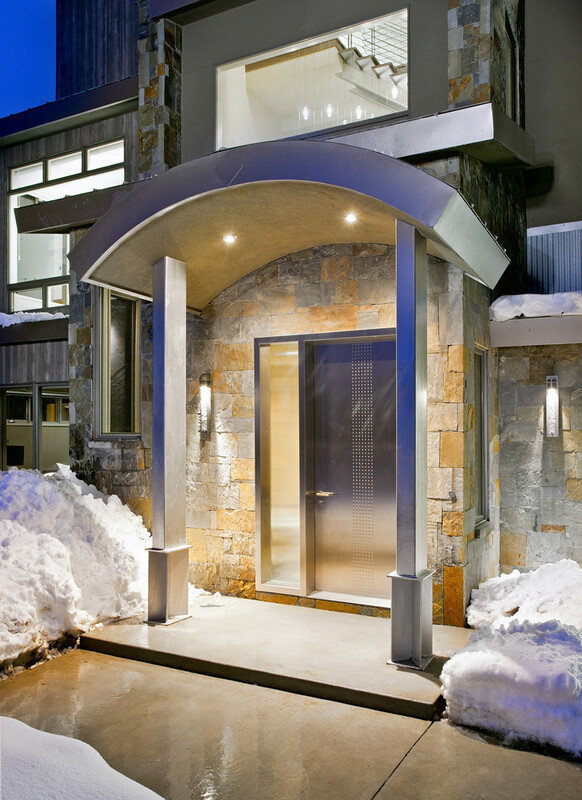 They can be mechanically retracted in one nice sweep and that’s why they’re awesome doors to have. 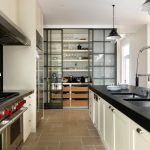 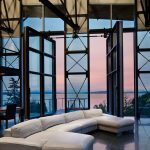 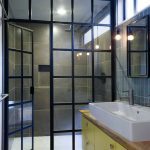 A door with lots of glass is certainly a very nice door to have and the one below is what you can use as an inspiration source if you want to build a steel door with glass. 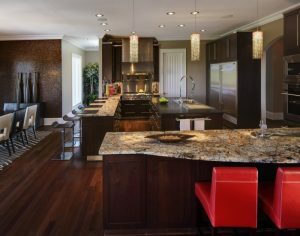 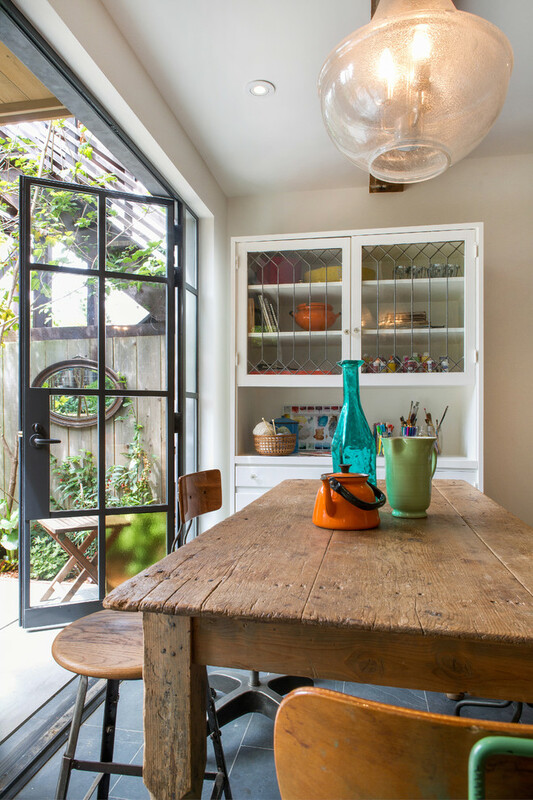 Here, the steel door also has glass and it helps add a good look to the transitional dining room it’s obliged to protect from many threats. 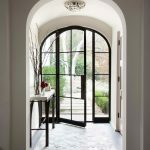 This still door is absolutely awesome and since it’s in a Mediterranean-style room, it’s a nice inspiration source for people that want to create a Mediterranean room. 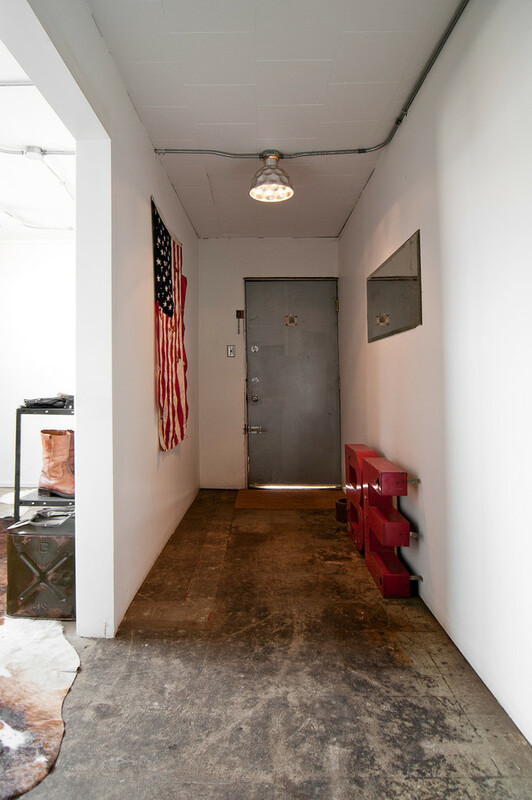 In this room, there are not only one door but two doors at the same time. 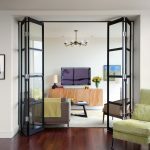 With lots of glass, these doors help connect two rooms by creating an almost invisible wall between the rooms. 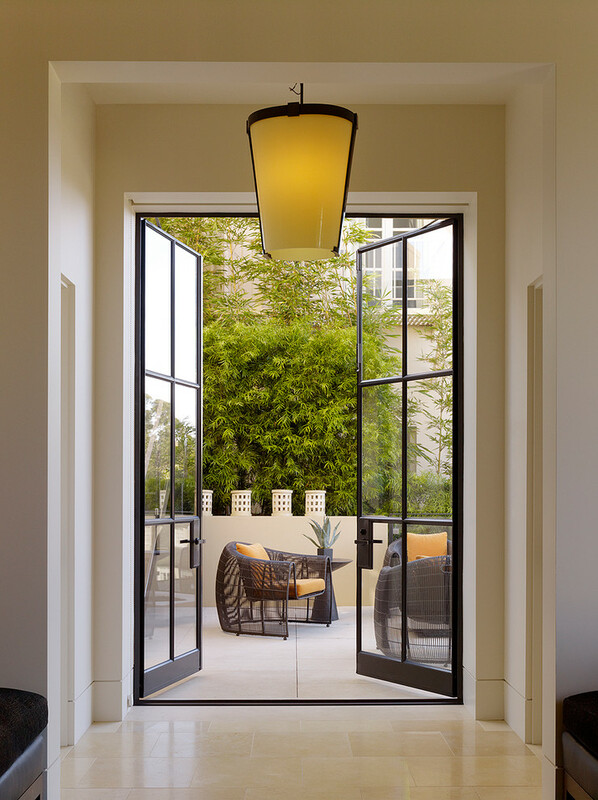 This door isn’t opened the same way other doors do and it gives way to a wonderful swimming pool where people can gather and enjoy themselves together. 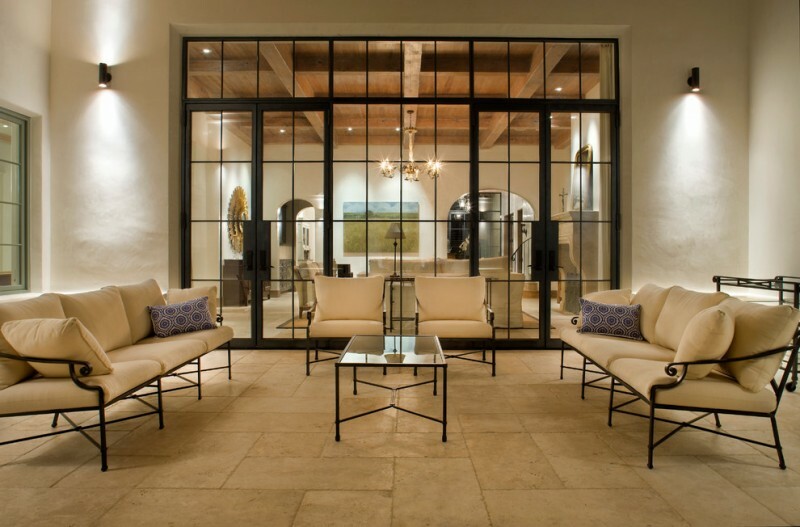 Connecting the indoor and outdoor area, these steel doors with lots of glass protect a bench, a piano, sofas, and many other things from outside threats. 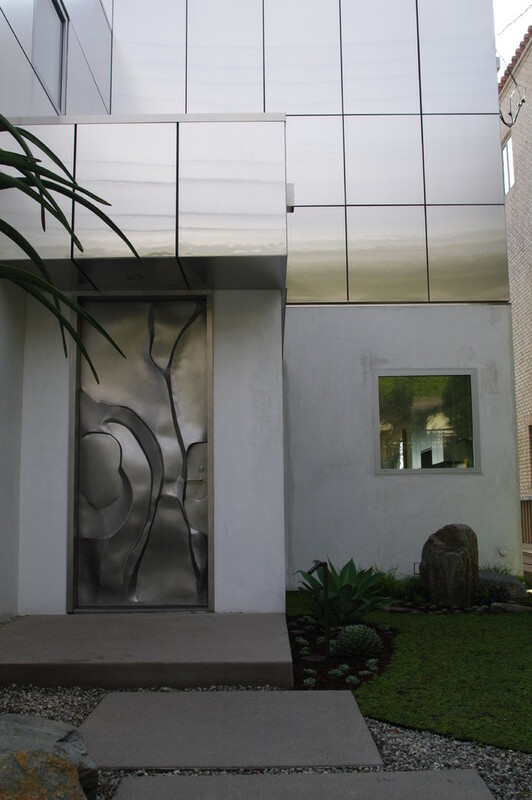 This contemporary door is stainless steel and it protects a house with stone walls and a number of awesome things inside. 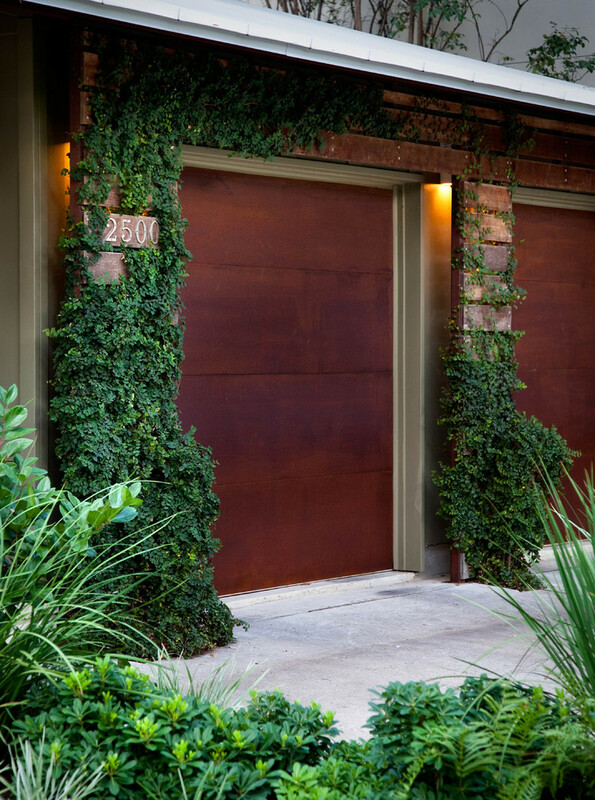 This garage door is made from cor-ten steel. 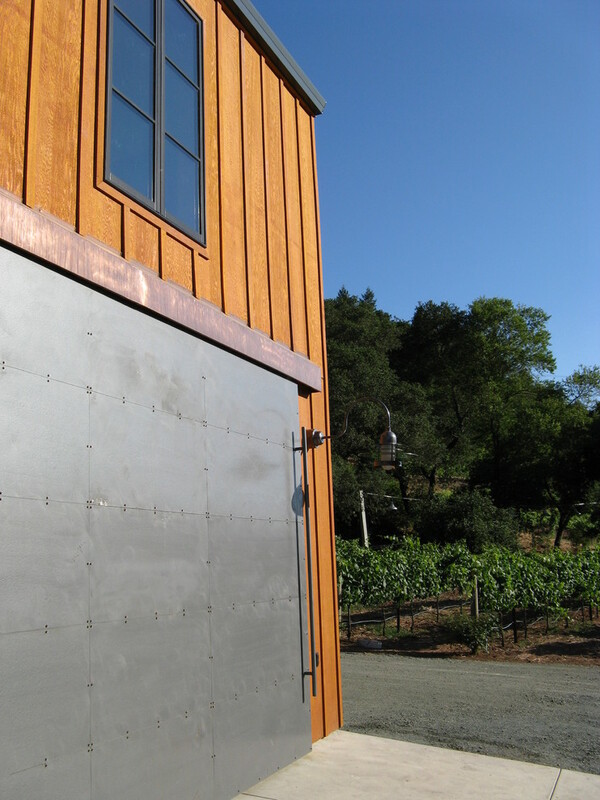 The material has a rust-like appearance, which gives the garage an interesting look to boast. 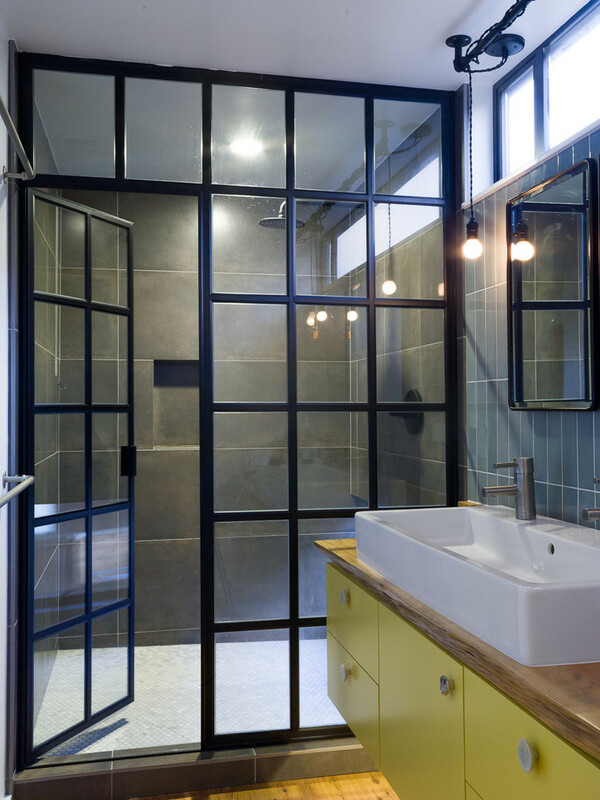 Built for a modern bathroom, this steel door protects a shower room where people can peacefully take a shower and relax their muscles. 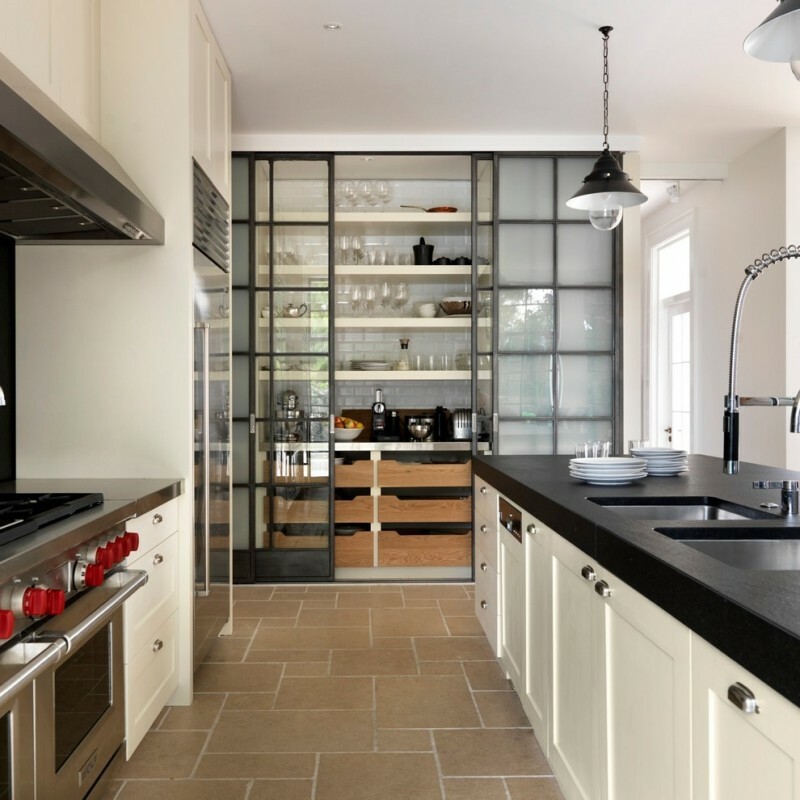 This steel door is a sliding door and it’s in a kitchen, protecting varied things the owners of the house have in the room. 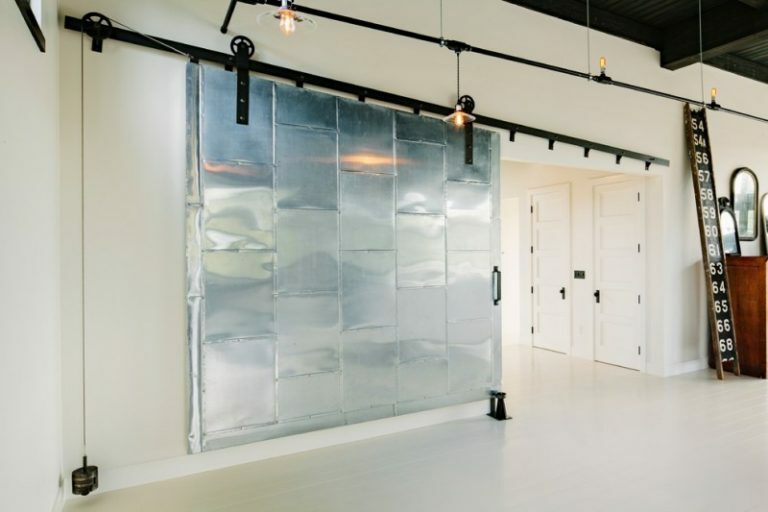 This cool steel door doesn’t touch the floor at all. 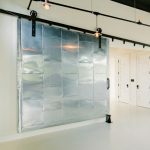 The door is designed in such a way for soundproofing effects. 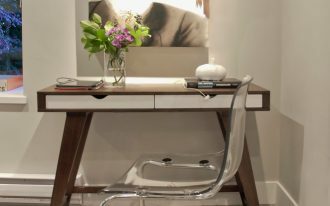 It doesn’t create a noisy sound when you open or close it. 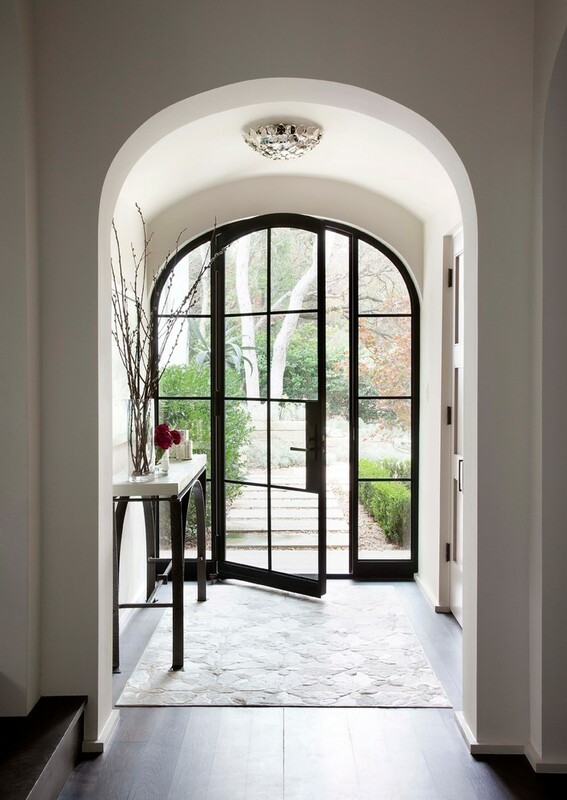 Having an abstract pattern on it, this door has a quite interesting look making it an eye-catching door to be inspired by. 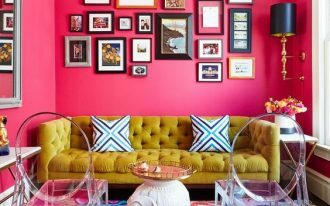 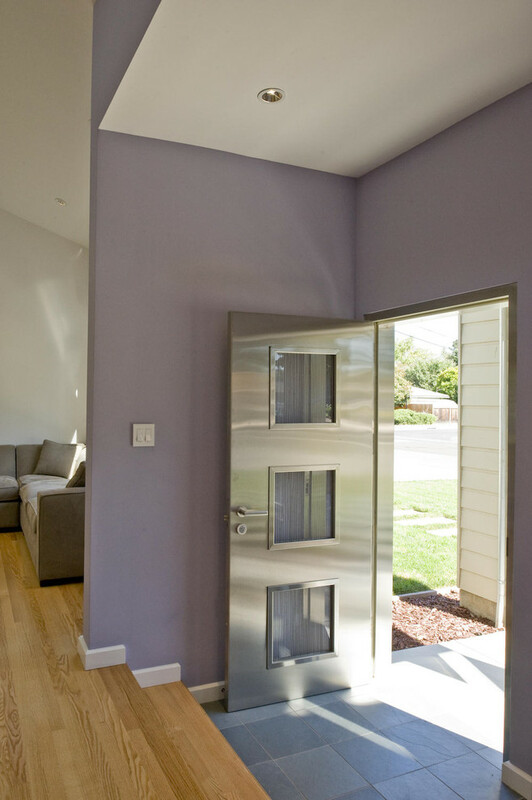 Combined with light purple that gives parts of the house a look that helps give the house a good amount of elegance to boast. 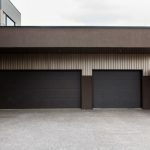 A steel door is definitely a door that suits a garage very well and the steel door below is one of the best proofs of that. 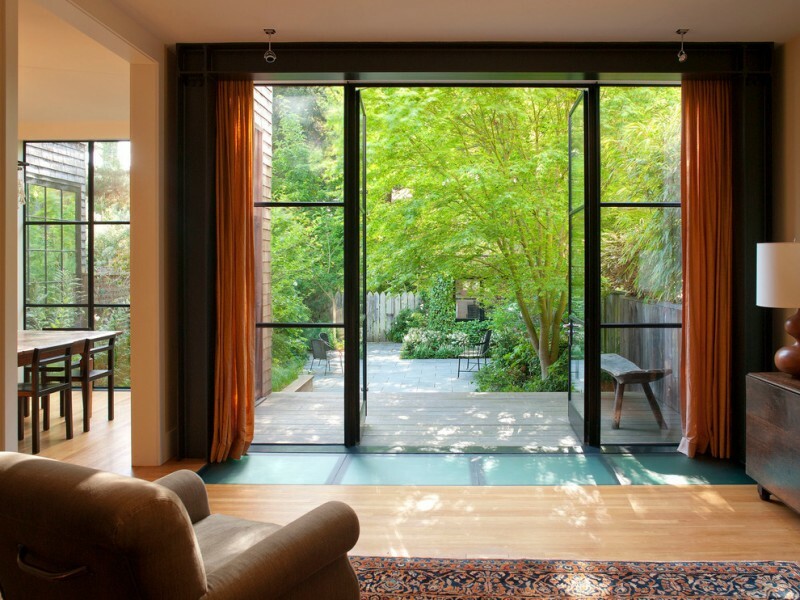 This steel door is accompanied by a steel window. 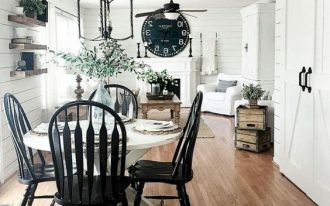 Both have lots of glass on them and they protect varied interesting things including a unique table that you definitely won’t find in every home you visit. These doors are called crittal steel doors and in this house, they can be covered by curtains so that people from outside can’t see the ones inside at night. 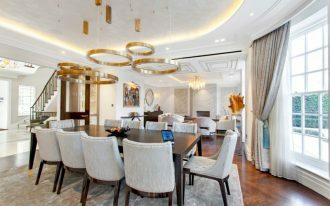 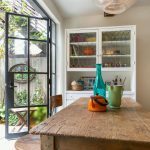 This steel and glass door never forgets its duty to protect a bright dining area where you can see various things including hanging lamps, modern furniture, and more. 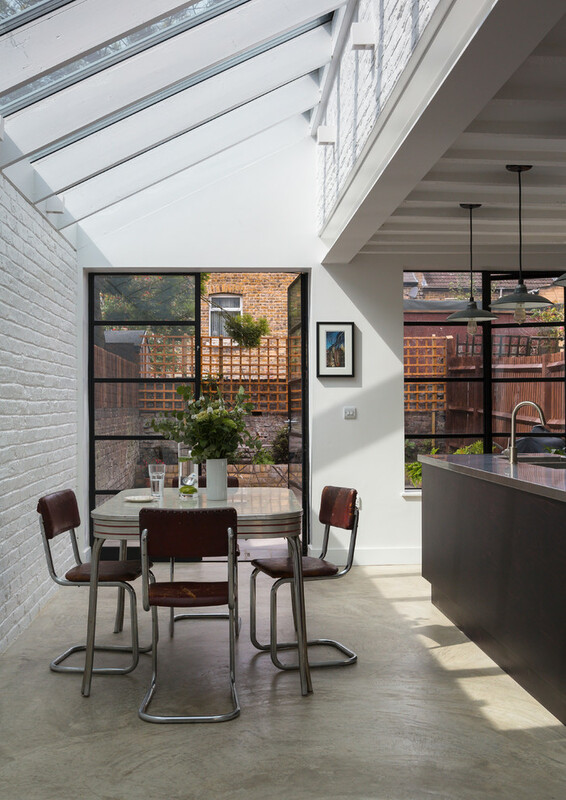 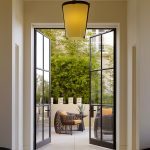 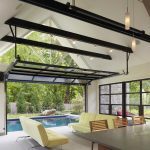 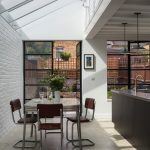 This almost transparent steel door does a very nice job connecting this indoor area with an interesting modern lamp with a patio that offers a lot of comfort. 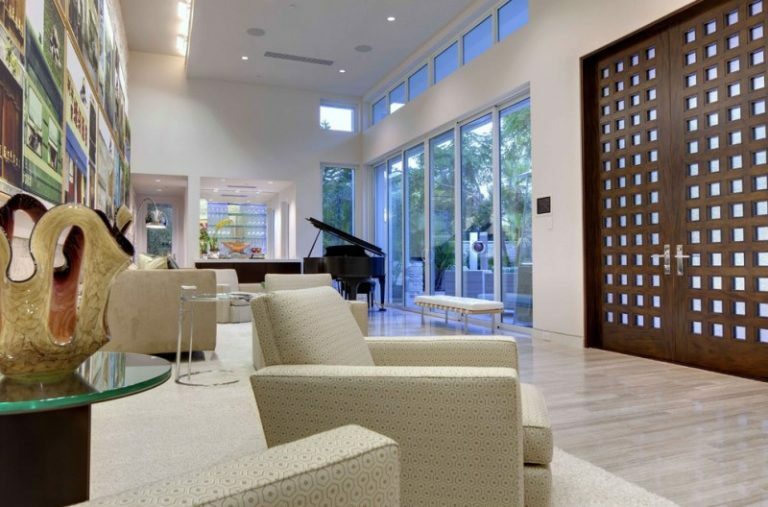 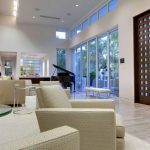 Functioning as the gate of a contemporary entryway, this steel and glass door lets people from outside to come inside welcomed by modern lighting and a carpet on a wood floor. 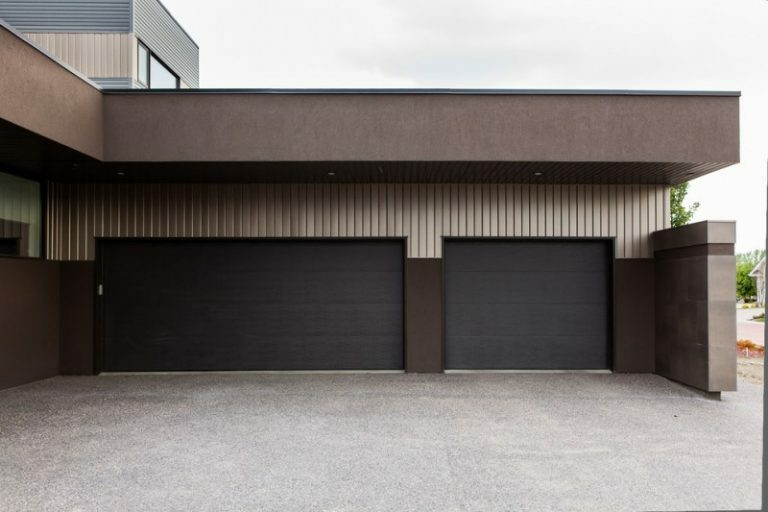 This door is a pull-open door made from steel and it sure suits the garage it’s protecting very well as steel doors are ones that really suit garages. 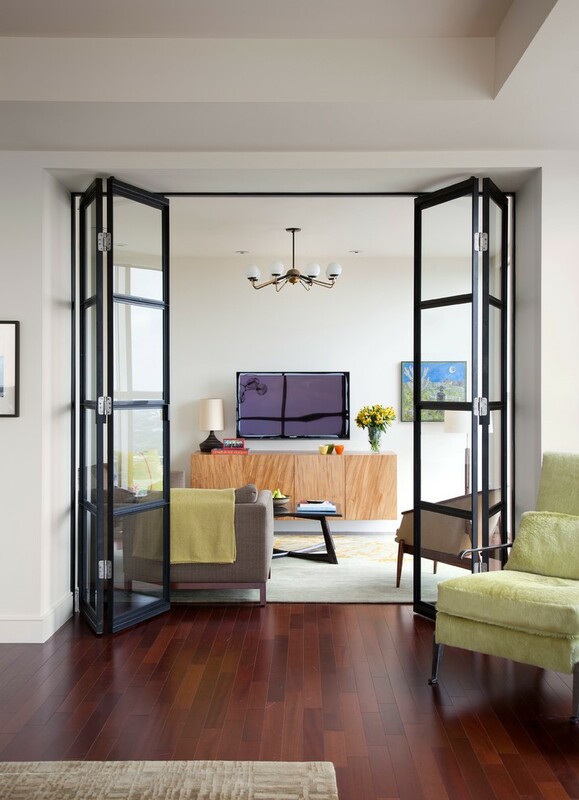 This steel door is a floor-to-ceiling type and it’s the gate to a room with sofas and a small table, a very comfortable room to spend a great time in. 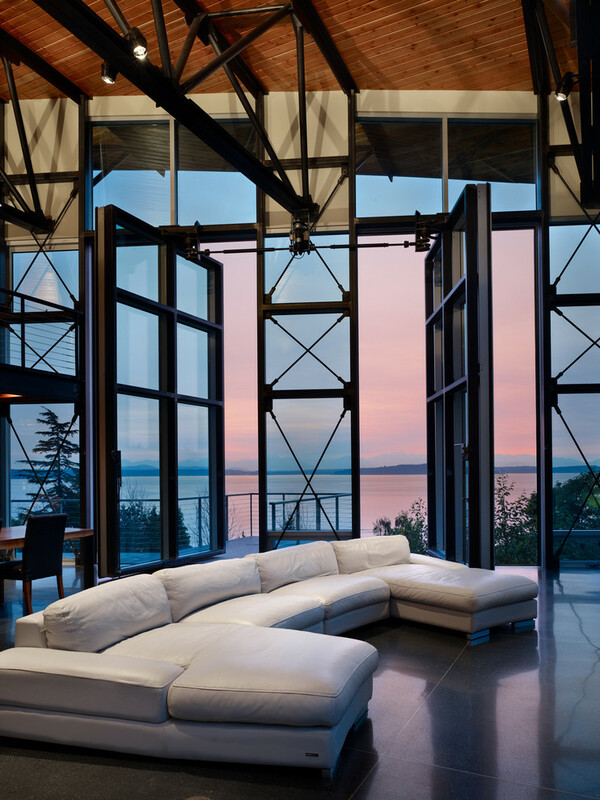 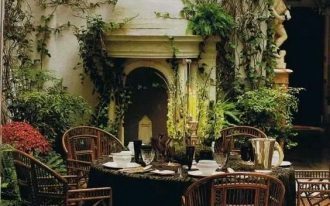 Also, the door allows the people in the room to enjoy a very stunning scenery outside. 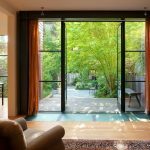 These folding steel doors are inside the house and they have many friends starting from a wood floor to beautiful lamps to an awesome painting and more. 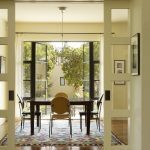 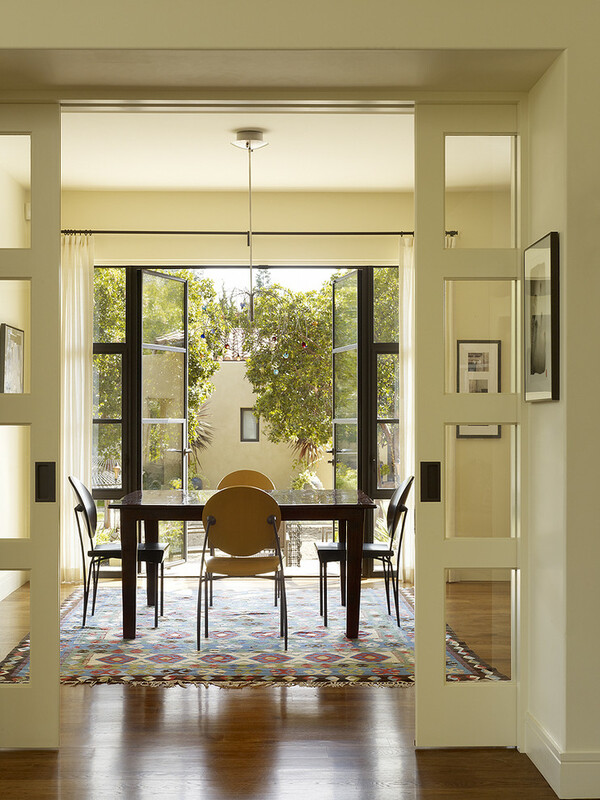 This french door with steel and glass effortlessly connects a dining room with an outdoor area where the occupants of the house can choose to spend time at. 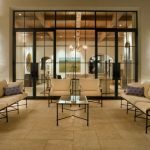 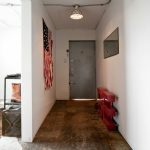 This steel door never hesitates to do anything including doing a collaboration with concrete to create an awesome look that will beautify a room. 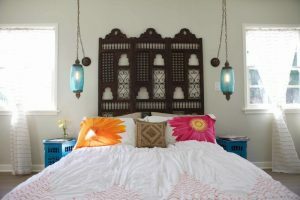 In this room, the door also collaborates with an interesting lamp up there on the ceiling. 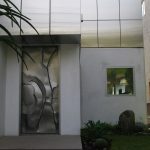 Steel sure has great compatibility with a lot of things and it’s a nice material to use to create a door.